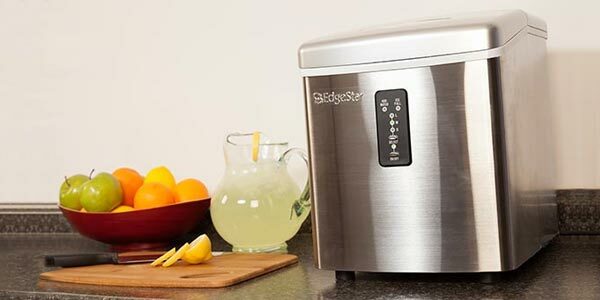 At first glance, it might seem like portable ice makers are simply smaller versions of undercounter ice makers. This is not the case. There are very distinct similarities and differences between the two, and when shopping for an ice maker, you want to be sure to make the best buying decision possible. To help the process along, let’s explore the pros and cons of each. In a nutshell, portable ice makers are more convenient for light use. A portable ice maker should supply the ice you need in a variety of different conditions that a traditional undercounter ice maker cannot. 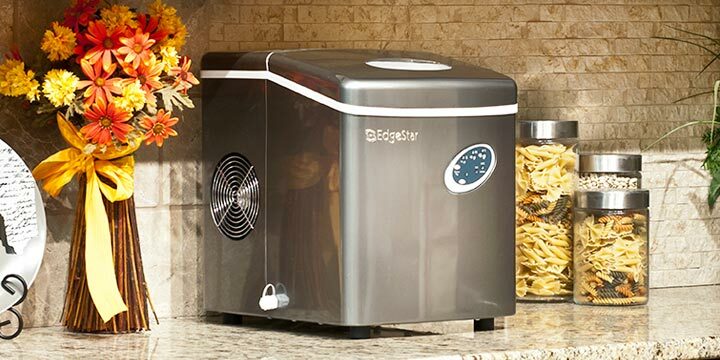 A portable ice maker will not take up too much space. You can easily store it in an apartment, home, or business for regular or occasional use. Portable units are also fantastic for use in an RV, boat, or other non-traditional living space. Instead of making last-minute dashes to the store for bags of ice, simply pour water into a portable ice maker. Use it when you need it, and ignore it when you do not. As the name suggests, portable ice makers are made to be carried around. Most models can fit in the car easily, and they can be carried to a park or outdoor festival. Also, using a AC/DC adapter, you can hook a portable ice maker to the power source in your car. With this capability in mind, the opportunities for use are endless. There’s no need to hire a plumber to hook up your portable ice maker. These units are a no-fuss product. You simply pour water into the machine, turn it on, and ice production begins. With no water or drain line required, a power source is all that’s needed. 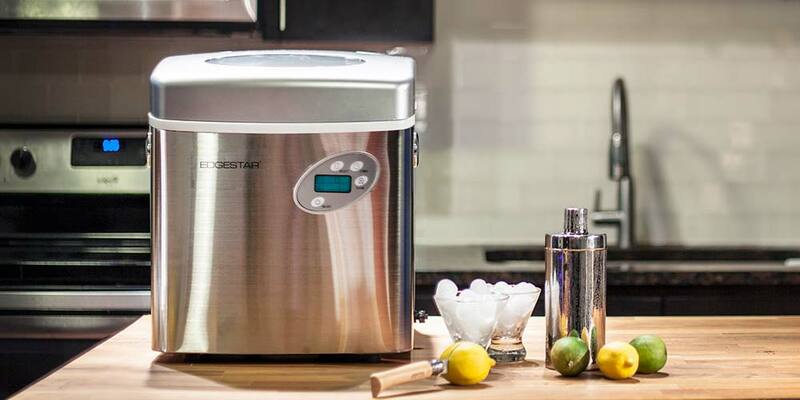 Portable ice makers are capable of producing close to 30 lbs. of ice per day. This may be enough for yourself, your family, and a small gathering of people, but it might not make enough ice to fill glasses for a large group. Portable ice machines still need water to make ice. Without a water line, you will need to find a faucet or bring bottled water with you. Every time the ice is low, you need to pour in more water for more ice. Undercounter ice makers are the perfect appliance to use when large quantities of ice are needed quickly and for extended periods of time. 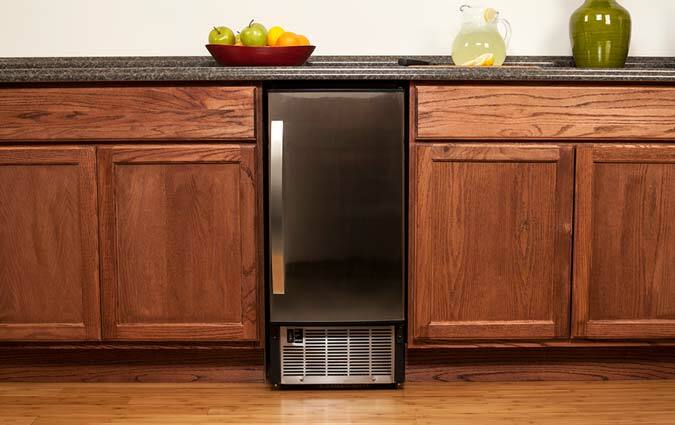 Undercounter ice makers are typically permanent appliances used in homes, offices, bars, restaurants, and coffee shops. Just like almost any other large kitchen appliance, undercounter ice makers are installed as a permanent fixture. They are typically installed under a counter, hence the name, and they will make large quantities of ice quickly and easily. If you have a large family, run your own business, or simply love to entertain, having a steady flow of ice is important. Trying to explain that there is no ice to a line of customers at a coffee shop or that a drink on the rocks will be a no-go for the next several minutes might not be the best way to run a business or throw a party. 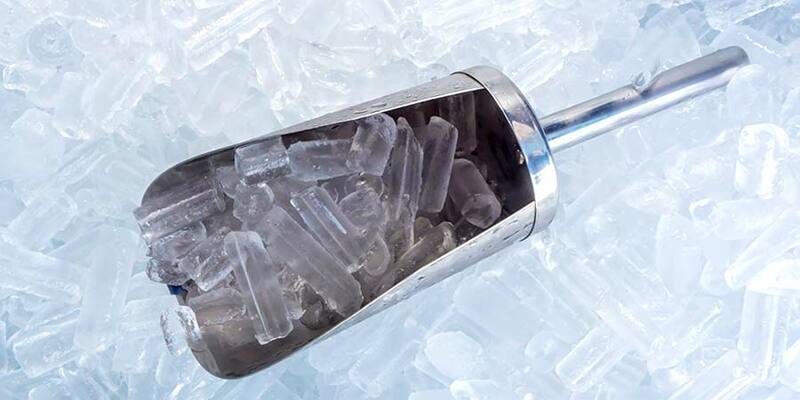 Most undercounter ice makers have a capacity large enough to meet all ice needs for both home and commercial use. You will never have to worry about the ice almost running out or scramble for water. Simply press a button or pull a lever for more ice ASAP. Most models run automatically and continuously, only suspending ice making when the unit is full. 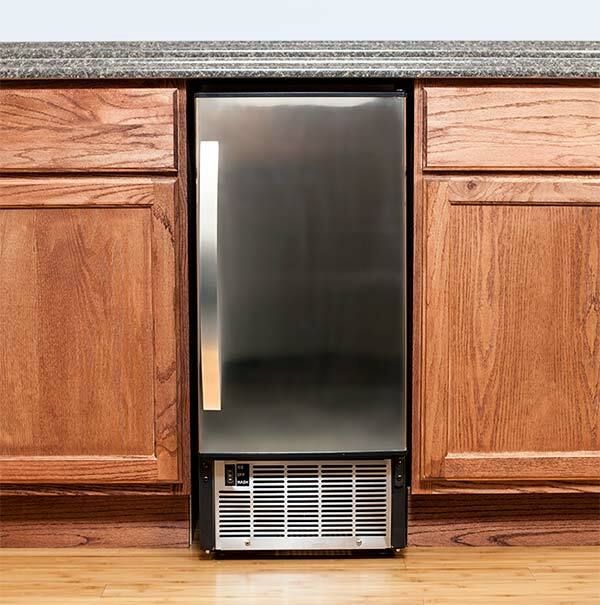 Undercounter ice makers need to be installed in a place near the right hookups for the appliance in order for it to work. They also require a plumber for installation. There has to be a good reason to sacrifice space for an undercounter ice maker. Unless you need a lot of ice, an undercounter ice maker might be more of a hassle than necessary. 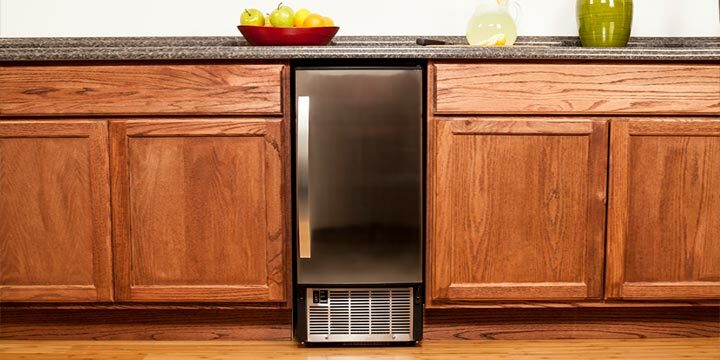 Undercounter ice makers are not as difficult to move as industrial-sized refrigerators, but they are not considered portable. Once they are installed, they are typically there to stay. Moving undercounter ice makers typically requires a dolly, a truck large enough, and a few people to help with the loading and unloading process. Many business owners and home owners need a lot of ice on a regular basis, and they also choose to attend off-site events. Often, a portable ice maker is a good purchase in addition to an undercounter ice maker. 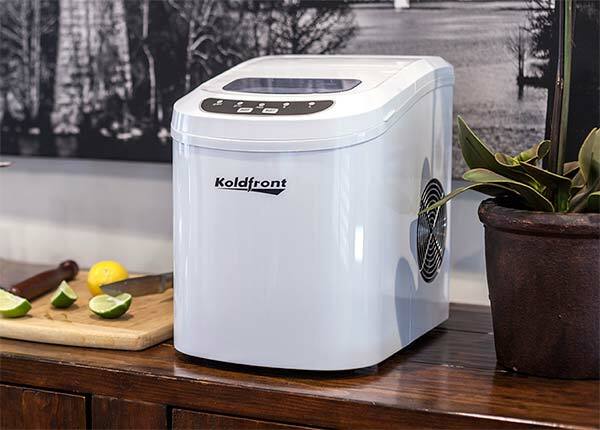 Use the undercounter ice maker for daily use and take the portable ice maker with you to on-the-go events. 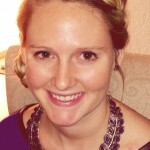 Assess your needs and see if there are any deal breakers. 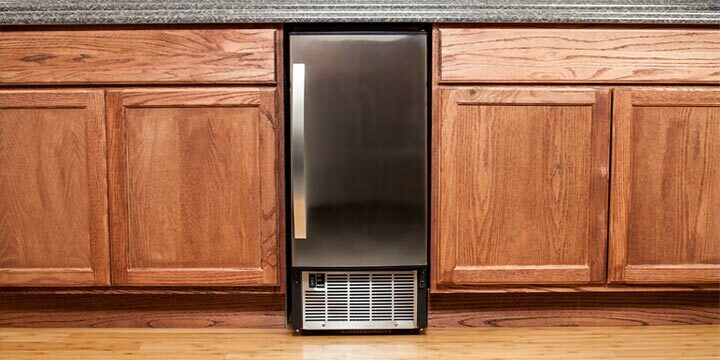 If you do not have space for an undercounter ice maker, for example, it might not be the most viable option for you. In this case, you may be better off with a portable machine. Conversely, a portable ice maker might not be adequate for your ice requirements, so you’ll want to spring for the undercounter unit. Whatever your desires, we can guarantee there’s a perfect ice machine for your lifestyle or situation. I just tossed a portable ice maker as the “stored ice” melted soon after it was made. What brand has the cooling capacity to keep its stored ice from melting? I have a reverse osmosis (pure) water line but want a counter top unit for its small size. Is there a small unit I can attach to a water line?